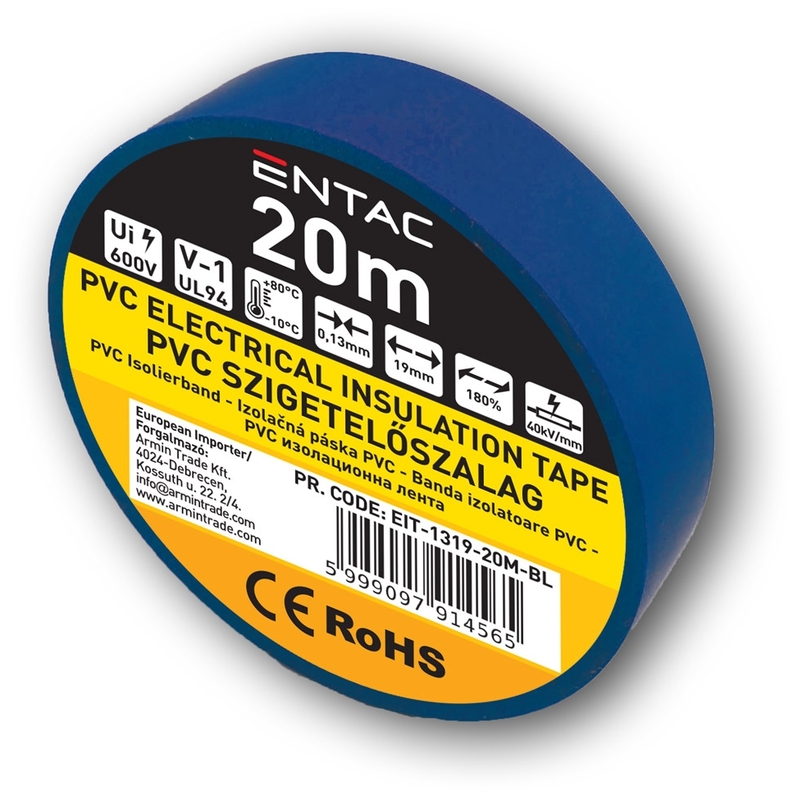 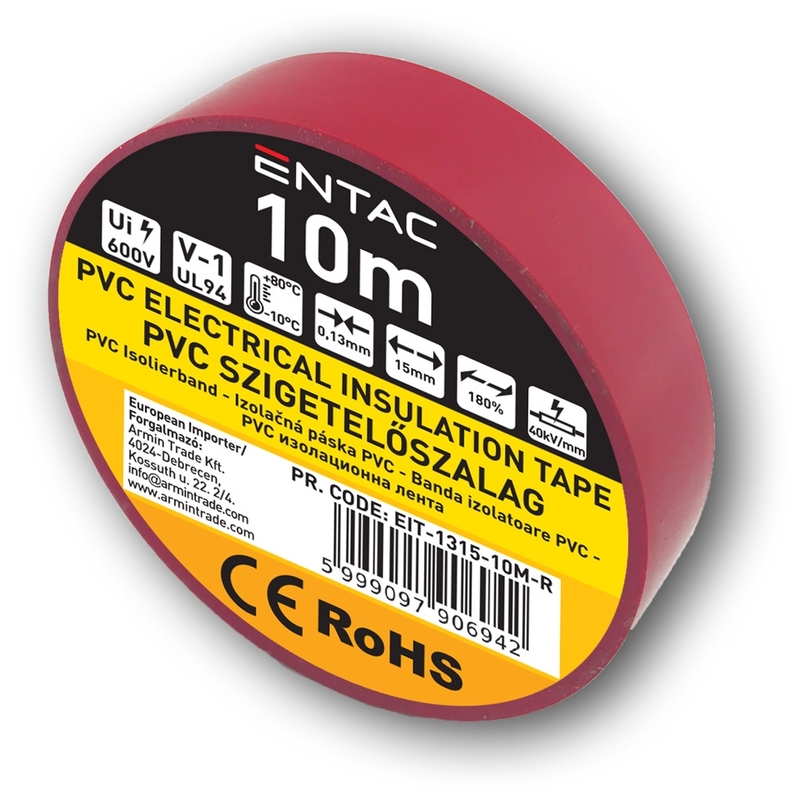 The Entac tapes offer designers and electricians a wide range of PVC-based electrical tapes that are ideal for insulating, attaching, bundling, sealing and marking cables. 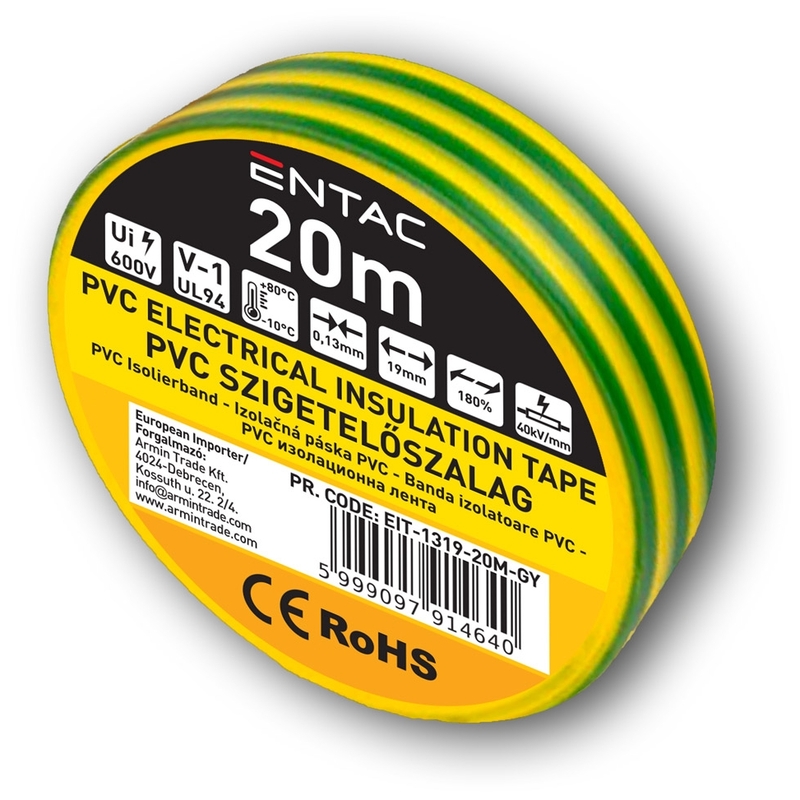 Our colored electrical tape in different sizes and materials supports the professional use of the tapes in a wide variety of areas: whether as a fast help for repairing cables, as a tool for sealing connection points, as a visual warning for provisionally laid cables or as a clearly visible cable marker – Entac tapes have many applications. 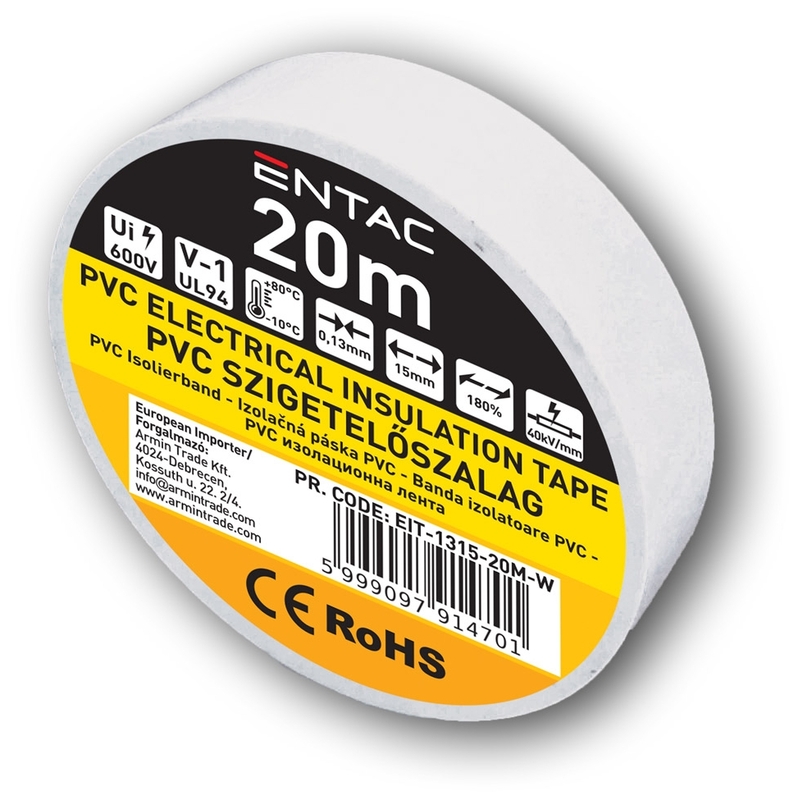 Insulating tapes are available in a variety of sizes and types.